Something must be done – fast! This year, textile network will be taking a closer look at the lack of skilled staff and young talent in the textiles industry. What can be done to counter the growing shortage of skilled labour? 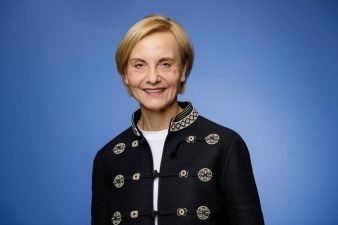 To kick off our new series, our exclusive interview with Ingeborg Neumann, President of the Textile+Fashion Confederation, deals with a question many companies are currently asking themselves. textile network: Ms Neumann, in your role as entrepreneur and President of the Textile+Fashion Confederation, how would you assess the need for junior staff in the industry? Ingeborg Neumann: First of all, I’d like to say that you’ve really hit the mark by choosing to focus on this topic. Staff shortages are not only a major concern for companies. If Germany is to remain equipped for the future, we really need to push this issue onto the political radar. To do so, we have invited the leaders of the main political parties to our annual conference in Berlin so that we can give them a first-hand account of the labour market situation for SMEs. textile network: Politically speaking, is the topic where you would like it to be? Ingeborg Neumann: No, definitely not. That’s why we’re keeping our eye on the ball. It’s not viable for us in the textile industry to invest a lot of time and energy in creating new jobs here every year – from 132,000 five years ago to around 135,000 staff now – only to find that we can’t fill them. Something must be done – fast! textile network: Where is the shortage of skilled labour at its most acute? Ingeborg Neumann: It can be felt across all sectors. This is also partly because more and more young people are doing their high-school diploma. And yet, our industry offers many exciting apprenticeships, which only require a secondary school leaving certificate. Many young people aren’t aware of just how diverse the apprenticeship landscape is in Germany. Once they’ve completed their training, these young people have good chances of being taken on by their employers. According to a survey among members of the Textile + Fashion Confederation, young men and women training to become machine and systems operators, production mechanics, product finishers and checkers, have excellent prospects on the labour market. textile network: Almost all of the 1,400 companies in the industry are SMEs. How prepared are they to take on apprentices? Ingeborg Neumann: They’re very happy to do so. Our companies train an average of 2,300 young people every year. The training staff in our companies are highly committed to providing solid training. And our entrepreneurs identify with the textiles training centres in their area. Our companies are very dedicated. textile network: What about your company, do you train any apprentices? Ingeborg Neumann: Two of our locations are in Saxony where we develop, produce and finish high-quality, innovative textiles for fashion, home textiles and technical textiles. Our need for skilled workers is great in all these areas. We train machine and systems operators, production mechanics and textile laboratory technicians etc. The Peppermint Group has started the new training year in Saxony with 19 apprentices, which is twice as many as the year before. Our apprentices come from seven different countries, including refugees from Syria and Afghanistan. textile network: What is the situation with skilled workers from the EU – is this an option? Ingeborg Neumann: Yes, definitely. In some regions, we don’t just have a shortage of skilled workers. We also need unskilled workers. We won’t be able to fulfil our contracts any longer if the labour market is empty. That’s why we’re tackling the situation head-on. As a global industry exporting more than 40 per cent of our goods, we need to adopt a very international and diverse business approach. Only then will we have the tools to thrive long into the future. We, at the Textile + Fashion Confederation and our regional associations, all work closely with the German job centre, the Bundesagentur für Arbeit. We support companies in recruiting skilled foreign staff: The companies tell us which positions are still open and the qualifications required. We then put our heads together with the Bundesagentur and discuss where we could find suitable candidates from the EU. textile network: Do the apprenticeships still reflect the skills companies actually require these days? Ingeborg Neumann: We’re relatively well set as far as our apprenticeship schemes are concerned. Of course, their content needs to be adapted every so often to accommodate the latest technical developments and opportunities. This year, a new apprenticeship scheme – E-Commerce Management – has been created which reflects the fact that more and more goods are being sold online. As far as our training for machine and systems operators is concerned, the scheme was recently inspected by vocational training institute Bundesinstitut für Berufsbildung (BIBB) as part of an Industry 4.0 project. Despite the rapid development of digitalisation, it became apparent that the essence of the job itself will remain largely the same. Another interesting finding is that digitalisation is likely to raise the demand for machine and systems operators in the future. textile network: Thinking of aspects such as digitalisation and AI, what impact will they have on the training itself? Ingeborg Neumann: The textiles industry is sailing towards exciting times. Digitalisation and Artificial Intelligence will allow us to tap into new potential, giving rise to completely new business models through customisation, i.e. production units of 1, and through clever networking between design, production and sales etc. The strong interest our members have shown in our Competence Centre “Textil vernetzt” demonstrates just how much momentum digitalisation has gained among SMEs. We mustn’t, however, be tempted to revamp the apprenticeships in the textiles and apparel industry prematurely and overnight. The content and syllabus of our schemes is tried and trusted. They, therefore, need to be adapted to current changes step by step. At the end of the day, the training has to be both realistic and practicable – aligned to the daily needs of companies – including all our SMEs. textile network: Where can pupils and prospective university students find out more about the training available in the textiles and apparel industry? Ingeborg Neumann: I can warmly recommend our Go Textile! website (www.go-textile.de) to all young people, as well as parents and teachers. It contains everything they need to know about training and apprenticeship opportunities in our industry and more specifically at the 300 or so companies and training centres across Germany who use this site to present their vacancies and training opportunities. If you prefer a more direct insight, you can follow six young trainees in the textiles industry live on social media. They use this platform to share their own experience of the business as well as to tell stories from their everyday training. Ms Neumann, many thanks for talking to us. The questions were asked by Iris Schlomski on behalf of textile network.